Delhi can be a small dot in the great Indian map, but, population wise, it cannot be undone. With more than a crore population, I was like thrown into the pool to survive and thus thrive. School of Planning and Architecture, widely known as SPA, had a hostel campus and college buildings separated by more than 10 kilometers It was Rs.50 away from hostel in New Friend’s Colony to the college in ITO (Income Tax Office) area in auto-rickshaw While on a train from Howrah to Delhi, a guy with whom we shared a compartment told us that the college we are going is deemed like an IIT for architects. 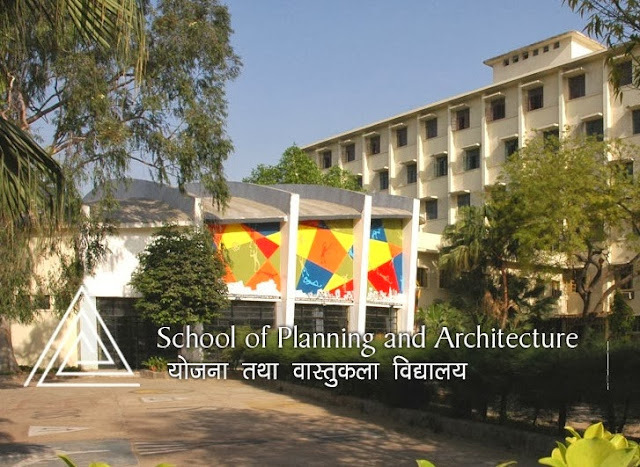 It was very motivating and felt blessed until I saw a single building attached with the oval auditorium, and that we were told building is the architecture block, and the hostel had a big single building complex as the student hostel. For such a reputed college, how can an infrastructure be poor? We got admitted and we were sent in different sections. Architecture department, had so many courses from undergraduate to the masters, but UG-Architecture had the maximum number of students from the two sections per batch. I was placed in First Year Section ‘A’ while two of my friends were placed in the other section. Being in a class of so many Indian friends and a very few people who looked like our tribe, it was a very difficult experience initially. However, I made friends with them, and my understanding of Hindi served me well in getting closer to them. Some faculties would teach in Hindi, while most of the faculties taught in English And a three hour long classes would end by 5.PM in the evening. As usual, we would board the Auto-rickshaw to get to the faraway home. Hostel was very tight for the students who were there before us. And having been late by a week, it was a difficult situation for us to get the hostel rooms. We ran here and there seeking help from seniors and it ran abruptly into nothing. Finally, we decided to stay in a guest room which cost us 200 per night. It was pretty disappointing for our college fee and hostel fee were paid together, and yet we ended up having to pay for the accommodation After trying hard for two weeks, we decided to take up a room in Laxmi Nagar, 10 minutes drive from the college. Being away in an unknown city, and having not settled well, we stayed in a very small room, and that room was pretty expensive. It cost us Rs. 14000. We kept on trying to report to the DAHE back in Bhutan about our situation, but nothing happened.Finally after staying for 15 days, my friend, Jamyang succeeded in getting us a flat in the hostel complex. He approached Director, and that was our third try meeting director and requesting him to attend to our problem. Being in Delhi itself is a big challenge but to be out there with no proper accommodation and least help, that is all together another bigger problem.